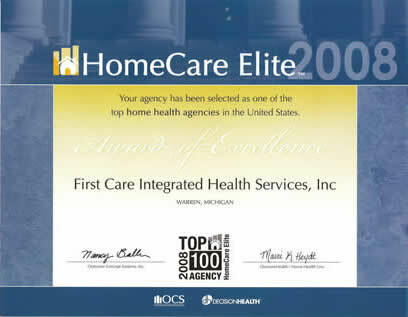 First Care Integrated Health Services Inc is a certified home health care agency serving the Metro Detroit area and surrounding counties in the state of Michigan. 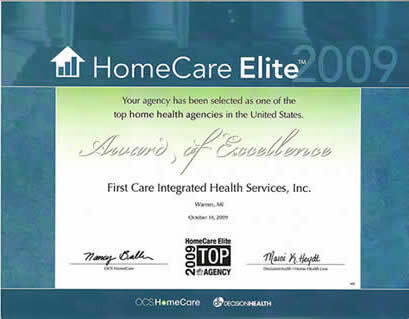 This agency was formed under the guiding principle of uncompromising personalised quality care which has earned us two consecutive years as top homecare agency in the U.S. But most important of all, we have earned the respect and confidence of our patients, their families, and the physicians that care for them. First Care Integrated Health Services Inc.